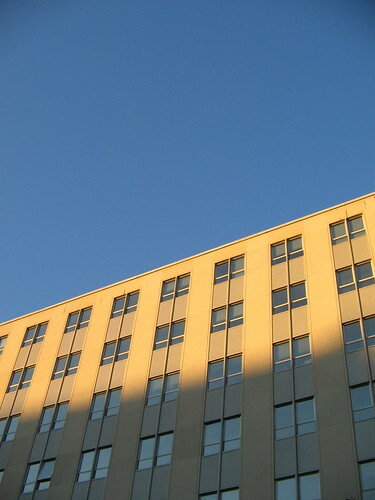 The Brookings building, a gorgeous day, an amber sunset, and a clear blue sky. Photo taken with a Canon Powershot A400. Did you take this with your PowerShot? There’s some strange vignetting in the two upper corners which I’ve not noticed in previous pictures. Yes, this is the Powershot A400. I’ve noticed that vignette effect usually comes up in sky shots, but rarely ever anywhere else.